Prior to that, he was Senior Vice President, Global OE and Prestige Business, Pirelli & C. SpA. Before joining Pirelli in 2006, Marco began his career as Regional Manager for water treatment products with the Boston-Grace Group, and then worked for 16 years in the General Electric Group. He joined GE Plastics as Marketing Manager for semi-finished products. He held various international positions within GE Plastics, and from 1999 was Managing Director of GE Plastics Italy. In 2001 he joined the Fiat Group where for the first two years he was Managing Director of Fenice and TeleClient, part of Business Solutions, and from 2003 Senior Vice President Sales Europe for Fiat Automotive. 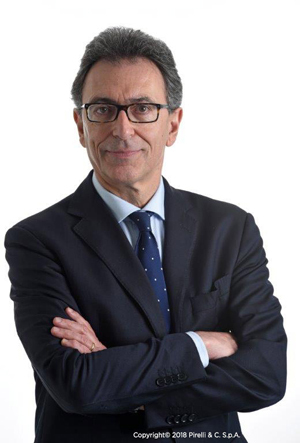 In 2005 he rejoined the GE Group in Nuovo Pignone as Director, Middle East Operations in the Oil&Gas business. Marco graduated from the University of Milan in 1984 in Industrial Chemistry. He is married with two children.